Last week we discussed the obstacles of staying motivated and self-taught financial management. This week, we will be tackling two more things that stay in the way of those who are self-employed; No safety net, and selling themselves short. Starting a business can be a nerve-wracking thing. Venturing out on your own means that you have to find your own solutions for insurance, savings plans, and overall to cover your bases in case your business isn’t able to sustain your living expenses. According to Businessnewsdaily.com, 48% are not prepared in the event that a lawsuit occurs against their business, and 39% are unprepared if they are to suffer a disability and are no longer able to manage their business. These are occurrences that could happen to anyone, without warning, so creating your business plan to account for these types of instances is incredibly important. Some resources are available to freelancers, for example, in the form of Freelancers Union, a community developed by Sara Horowitz in 1995 to help provide guidance, options and support to individuals who pursue freelance careers. They represent 57 million independent workers across the country with benefits such as; health care, life insurance, disability and even liability. They are just one of many options that should be explored when an individual decides to venture into the business world to pursue their own concept. Getting a loan can also help you as a financial safety net, to help cover start-up expenses (such as a Start-Up Loan), or business growth. However, there are many obstacles that can arise depending on your situation. The self-employed and freelancers often come up against the problem of having to prove their income, which can be a sticky situation sometimes. That is a scenario when a No-Doc Loan can be of great assistance. If your credit score is good, but you have difficulty proving your income, these types of loans (that we offer) can be just the ticket! It seems that one of the most common occurrences among those who are new to the freelance or self-employed world, is how they undersell themselves or their products / services. Understandably, you develop a stronger sense of self worth with the accumulation of experience in your field, but new businesses can’t just wait around for confidence to be built. The phrase, “fake it ‘til you make it”, can be a flimsy excuse for poor work to masquerade as a business that has weathered the sands of time, but it can also refer to believing that you have the ability to provide dedicated work with the best interest of your customer or client in mind. The source of this obstacle, Fear, will trickle into other areas of your business if you do not catch it early on. Many new business owners or freelancers claim to put off actually selling their own product so they have “time to perfect their product” . In reality, this is just a fear that their product will not be welcomed with open arms by their target market, that it will enter into a world of harsh critique or that it is simply just not good enough. Just as no work of art is ever truly finished, business owners look at their products and services as constant works of progress. While this is a healthy way to grow as a business, the point is that you can’t let the inevitable process of perfecting get in the way of releasing the first drafts of your product or service. How else will you have an honest second and third opinion? How else will you know how you can perfect the work of art? Your first step to growth, is to actually take that step -any step forward. Being self-employed is an empowering experience if you set yourself up for success! Being self-employed can be a wonderful experience. You are free to create your business model in a way that seems suitable and productive to you. Punching in is at your own discretion. Creative aspects and branding choices are yours to make. You are not limited by the expectations of management, but there are challenges that arise which can limit your success if you do not properly plan ahead to avoid them. Change of Leadership – Working for a boss keeps you on your toes. A format was already laid out for you, avoiding job loss was a must, and you wanted to climb the ladder. Now you are the boss, and you must cater to your own level of expectations in the same way. Billable and Non-Billable Tasks – It’s easier when there are dollars tied to your tasks, but it is a lot more difficult to complete the mundane day-to-day tasks. Tasks You Don’t Enjoy – As a self-employed professional, now suddenly you have to take care of all the details. Let’s face it, sometimes you just don’t have the knowledge or experience, much less the desire to complete those tasks. 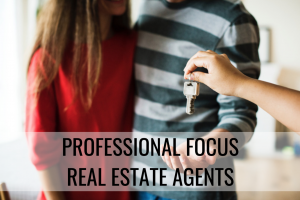 A great way to handle these types of tasks is to connect with professionals that you can outsource overbearing work to. To avoid these deterrents, make sure that you are setting yourself up for success by creating goals at regular intervals and be aware to complete them. Remind yourself of all the benefits of being self-employed, compared to past positions and working for another business. It is even recommended to have someone close to you (friend or family) to check in with you from time-to-time about your goals. Sometimes, the road starts a little rocky, but persistence and planning pays off! Most often, self-employed professionals have little-to-no experience managing finances and so it becomes a major hurdle at some point down-the-line. Setting yourself up financially from the beginning makes a huge impact on the success of your business. Many people look to financial institutions like ours, to procure funding in the form of start-up loans, no-doc loans and so on. However, once they obtain the funds, they have no form of management to wisely distribute the funding. Underestimating Expenses – Fortunately, approximately 40% of home-based businesses require less than $5000 to start (businesses such as; resume writers, personal stylists, childrens’ parties, cupcake bakeries, etc.). The obstacle arises when small costs are overlooked, such as childcare, insurance, gas, dry cleaning, etc. Make sure to outline any and all possible expenses as a result of your new business. Keeping an Eye on Taxes – Make sure that you have a good idea of how much self-employed taxes you may need to pay at the end of the year, along with your regular income taxes. We suggest a periodical review of your taxes throughout the year to stay on top of everything. Setting aside tax payments is necessary to avoid under-withholding penalties. Getting Assistance – As your business grows, you may want to consider a lawyer to keep everything in order. Calling your insurance to ensure that you have the right type of coverage is also very important. Both of these things will help to cover yourself in case of any unforeseen circumstances. The key is consistent planning, reevaluation and execution. Just as you keep up with our blog for information on business planning and financial advice, make sure you are consistently taking a 10,000 foot view of your business practices to evaluate if everything is working towards your goals. The road to a successful self-employed business may throw some curveballs, but with dedication you will knock it out of the park! 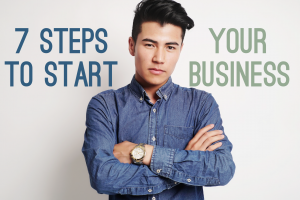 Make sure everything is in order to make starting you business a breeze. Don’t go into battle blind! You need to understand two very important things about your industry; who you are catering to and who you are up against. For your competition, it is not just about giving them a once-over, you will need to make it a consistent practice to keep an eye on what they are doing, where they are weaker than you (or stronger), what seems to resonate with the audience. This will also contribute to the second goal in market research, which is to understand your customers/clients. Studying your competition will give you some insight to the type of people who are interested in your services. Further than that, you should be researching what trends your audience is following and how to leverage your products or services to connect with your audience through those trends. As mentioned, starting a new business is an adventure, so you must create a roadmap to help you navigate the process and stick to your goals. A business plan is not purely for your own benefit, but your business plan will allow you to present your concept to investors or when you are applying for a loan to start your business. Your business plan is vital to convey what your strategy will be and why investing in your business will be a smart choice. For help writing a solid business plan, Entrepreneur.com has the details to get you going in their article, “How to Write a Business Plan”. One of the most important steps is funding for your business. When creating your business plan, you were able to pinpoint the basic expenses you can anticipate. With that knowledge, you must plan out a budget for start-up costs. Business start-up loans can be acquired from a number of places, but sometimes there are obstacles in the way. What if you can’t prove your income? There are certain loans made specifically to help find a way around most obstacles, and when you have good credit you can often acquire a loan such as a “No Doc Loan” or a “Start-Up Loan” for starting a business. Need a consultation? We can help you in that department! Thinking ahead to what will affect your business registration requirements, how much you pay in taxes, as well as your personal liability, you must choose a legal structure that will positively influence all of these factors. Choosing from a Sole Proprietorship, Partnership, S Corp and so on, will all have different effects on your taxes, or even how much of your personal assets are at risk. Entrepreneur.com can provide more of the basics to understanding what options you have and how it will affect your business. Make your business name legal and protected, but registering your business name. How and where to do this will partially depend on what you decided in the previous step, which is your legal business structure. For most small businesses, registering your business is an easy affair, simply register your name with state and local governments. States have websites to use individually, such as California’s “Agency Services”. In some cases you won’t need to register your business name at all, (i.e. using your personal name as your business) but you need to decide whether this might cost you in tax or legal benefits. SquareUp.com has a great step-by-step guide to registering your business for a more detailed description of how to complete these steps. A business bank account will help you to stay legally protected. Once you have received your Federal Tax ID (EIN), you can open your own business account. These accounts can be checking, savings, credit, or a merchant services account. This will help you to keep your business financials separate and easy to track when it comes time to do your taxes. It will offer personal liability protection, keeping your business funds separate from your persona funds. In terms of professionalism, it will allow your customers / clients to have an array of options for paying directly to the business, and will even allow your employees to handle day-to-day banking tasks.